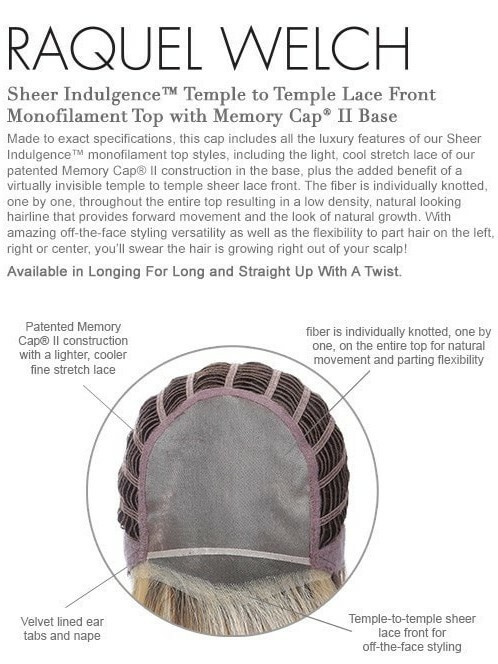 Tru2life fiber featuring a lace front with a Monofilament Top with Memory II base. Tru2Life synthetic hair is heat friendly. Raquel Welch is wearing RL32/31.